For our second Editor’s Pick for March, we are thrilled to talk to Christoph Rettenmeier and Andrew Stenger about their latest paper entitled “ A circular echo planar sequence for fast volumetric fMRI”. MRMH: Let’s start with a little bit about you and your backgrounds. How did you both become involved in MRI research? Christoph: I did my PhD in molecular chemistry at the University of Heidelberg, Germany. We had a well equipped NMR laboratory where I used to spend hours acquiring NMR spectra. 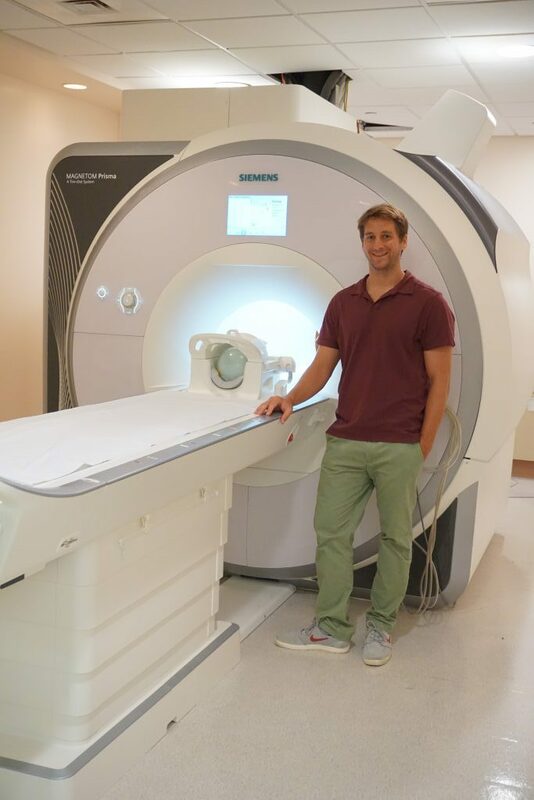 I got really interested in learning more about MR research, and that’s how I ended up switching fields from chemistry to more engineering-based MRI. Andy: Mine is a similar story. I did a PhD in physics at Ohio State University where they had the first 8 Tesla MRI scanners. I took a class in MRI and wrote a paper on BOLD fMRI when the field was in its infancy. After my PhD, I went to the University of Pittsburgh where I met Doug Noll, a prominent MRI researcher, who taught me all about fMRI sequences. I stayed there for almost nine years, before moving to Hawaii about 14 years ago. I have been working in the field of MRI ever since. MRMH: Before we get into the details of your recent paper, could you explain the concept behind the circular echo planar imaging (CEPI) sequence? Christoph: The main attribute of this sequence is its reduced trajectory, which is similar to those of standard EPI sequences, but instead of going through the whole square coverage of the k-space, you end up getting rid of the edges and thus form a circular shape. We are basically cutting the corners, and this reduces the overall readout length and gives the technique an edge in terms of speed. In addition, we integrated it into a generalized reconstruction framework. Andy: I think the fact of using a generalized framework is, in a way, more important than the actual trajectory that we’re able to use. If you just think of it as a spiral trajectory and throw it into this new, non-uniform, fast free transform reconstruction framework, you can use all the tricks that people are already using for model-based reconstruction, including compressed sensing. In our case, we were able to successfully model ghosting, at least for the Siemens scanner that we were using. MRI Group foto in front of the UH/QMC MRI Research Center. Left to right: Danilo Maziero, Christoph Rettenmeier and Andy Stenger. MRMH: What are the pros and cons of using the CEPI sequence as opposed to other sequences for fast fMRI? Christoph: We already mentioned that CEPI is faster. The flip side, though, it is that we lose a little bit of SNR because we don’t have that many sampling points, but I would say that’s a minor issue. The other flip side is that the reconstruction is a bit more complex, computationally more demanding, and takes a little bit longer. It’s not just a plane fast Fourier transform. But again, this isn’t a major issue. MRMH: As regards your reconstruction, is it easy to get hold of the necessary reconstruction algorithm? 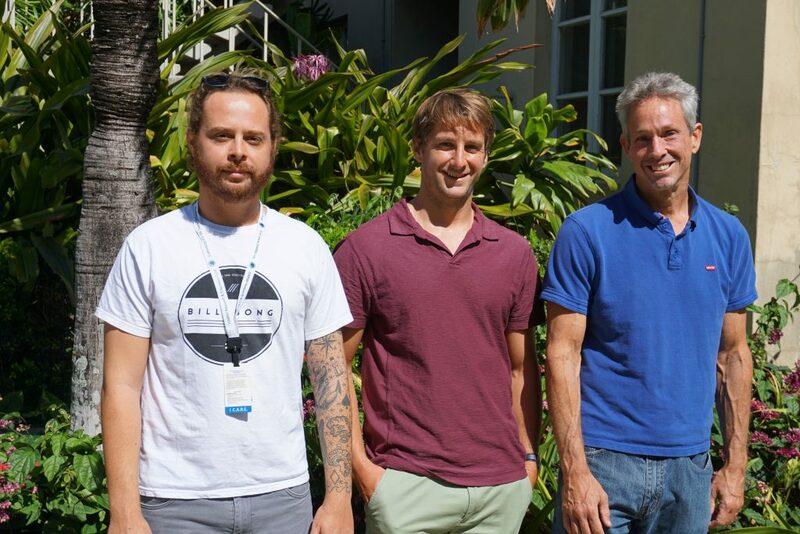 Christoph: We use the toolbox developed by the Fessler lab at the University of Michigan, which is publicly available. Andy: I think you could use any of the existing image reconstruction toolboxes, such as the Michigan image reconstruction toolbox (MIRT) for example. The only thing is, you might have to add a small ghost correction term, but that’s very simple to do. MRMH: Where do you see this method gaining traction? Christoph: We developed it with a view to applying it to fMRI, to see how fast we can make the acquisition. We think it’s an interesting tool, and will probably continue to look into its application in the field of fast fMRI. However, as has been mentioned before, provided you have an EPI readout train, you could potentially use CEPI instead to make it a little bit shorter. The real question would be: is it worth it for your particular application? That’s what you have to ask yourself, but in principle, it’s applicable to all EPI sequences. MRMH: Can you tell us a bit about the ghost correction approach? What’s special about it? Christoph: We measured the artifact and then corrected it by using a constant and linear term base. We figured that the constant term itself is actually close to zero and can be disregarded with our system. We don’t know whether this is true with other systems as well. In our case, the approach involved simple subtraction of correction of the linear term. You can add that information prior to the reconstruction by just one line of code. MRMH: And I guess our last question is what should people do if they want to use this sequence? Andy: In our case, we inserted the gradients into the system as an external file, so people need a sequence that can do this; if they have that, then we would be more than happy to give them the MATLAB code to generate all the waveforms as well as the reconstruction. However, if they can’t insert the gradient as an external file, they could probably program it themselves on the scanner.